Maria Sharapova has been handed a two-year ban for using meldonium, a drug that treats heart disease. The star had been using it since 2006 but the governing body outlawed its use in sport at the start of the year. By taking it, Sharapova tested positive at January's Australian Open and while the infringement was not deemed intentional, culpability through ignorance will now see her off the circuit until 2018. Keeping tabs on what substances are and aren’t legal in sport is often presented as a herculean task and to a degree it is. However there are plenty of resources freely available to anyone competing to make sure they know what they can safely take. Certainly it adds a level of admin to your life but it isn’t really the most arduous task. Commute this into other professions and suddenly it doesn’t seem such a big ask. Plenty of (less well paid) jobs demand that practitioners keep abreast of the latest legislation; why then is it such a big ask of athletes to do the same? If a doctor, accountant or lawyer messed up at work, they too could well find themselves facing sanction – as well as a few choice news reports. According to Forbes, Sharapova’s career earnings exceed $20m, the majority of which are from endorsements. A key part of her wider brand is her ‘Sugapova’ confectionery operation. And herein lies the PR conundrum; Sharapova has marketed herself – or has allowed herself to be marketed – as a canny businesswoman. Someone genuinely this savvy would surely take far more direct interest in her own bottom line? Consequently, that she is now contesting her innocence based ignorance doesn’t really ring true – and if it is, how much of a clever head really sits on those tanned shoulders? As a personal brand, sport or otherwise, you really can’t have it both ways. While a two-year ban for such a talented athlete is a crying shame and deprives the game of a great performer, the International Tennis Federation needed to issue a warning to others that taking banned substances will not be tolerated. Sharapova’s public admission of guilt may have been a great exercise in comms but, for the good of tennis and sport, it had little effect on those that mattered. Unfortunately for Sharapova, her justification for this mistake was simply not good enough and this is clearly reflected in her sentencing. 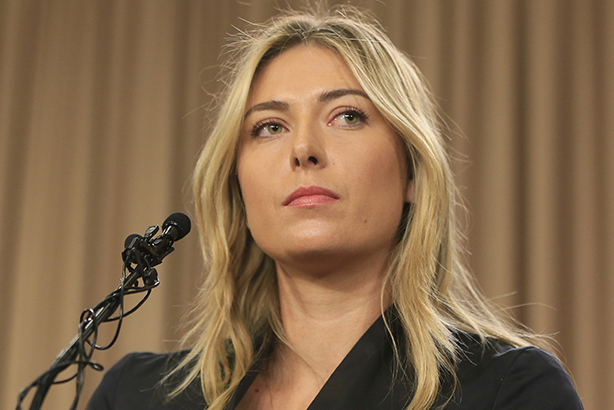 Your call: Should brands stand by Maria Sharapova after her failed drug test?